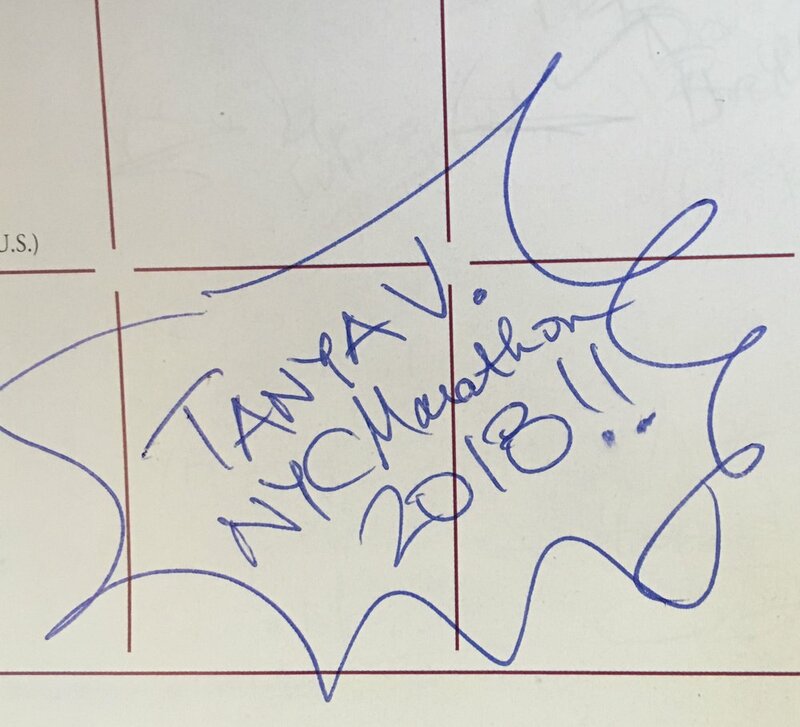 38 days have passed since Phase 2 officially began and I can't begin to be grateful for Phase 1 of 'Tanya Velardo's Marathon Training Plan'. I'm working on my marketing materials as we speak because I might be on to something!! Sometimes I wondered if Phase 1 was something I had created to make it look like I was training when I was actually just NOT running. Was I making excuses or running away from what I should be doing out of fear or simply just not wanting to run and put in the hard work? Over the last two weeks I've seen the positive results and benefits of having Phase 1. It has set the foundation for the running portion of training. Phase 1 has transformed my mind, my attitude, my will and my choices. It has built structure, self discipline, endurance, stamina and thoughtfulness towards working/running the plan every day. And so, I run! I'm convinced my legs and hips will hurt for the next five months. LOL. But, I continue to run. I'm not running alone. I'm running with a community of individuals who are cheering me on from a distance. I'm not running alone. I'm running with a community of individuals who are present and running by my side. They help guide me, teach me and train me. 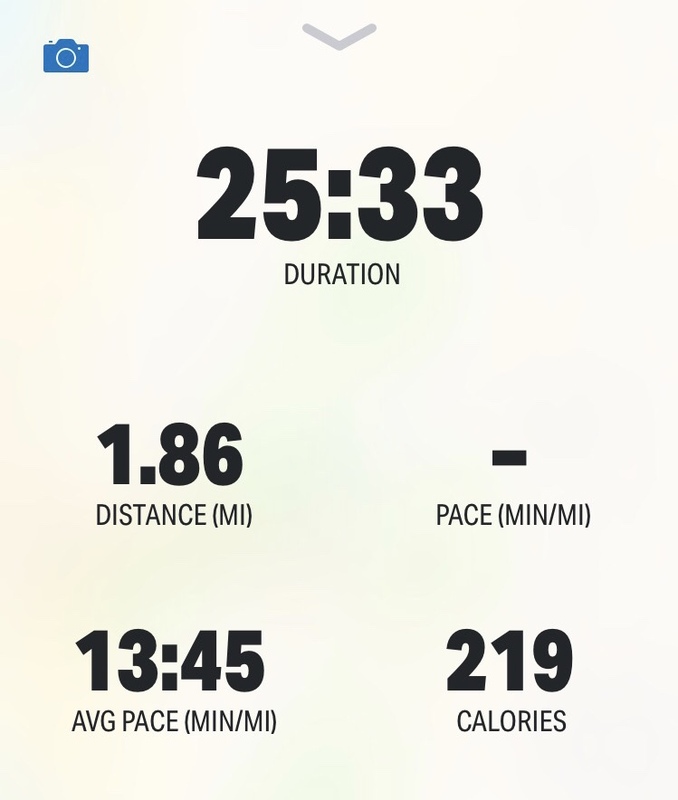 They've motivated me to run that first full mile without stopping and then 5 minutes later, they motivated me to run that second full mile without stopping. I've sought friends out and asked them to run with me and many have sought me out and asked when we can run together. And so, I run. The first morning of getting out and boots on the ground! On Thursday mornings you'll find Heather + me running through Harlem. I'm grateful for friend's like Katie. She texted me on a Thursday night and asked, "What's your running plan for tomorrow?" I thought to myself, "That's right, I have to run tomorrow too! It's not just today's run." We met up and I quickly learned how the heat can affect me and I learned what it feels like to run for a second day in a row. It was a tough run for sure. 90 degrees. 1.9 miles. Scenic = hills. Extreme heat. 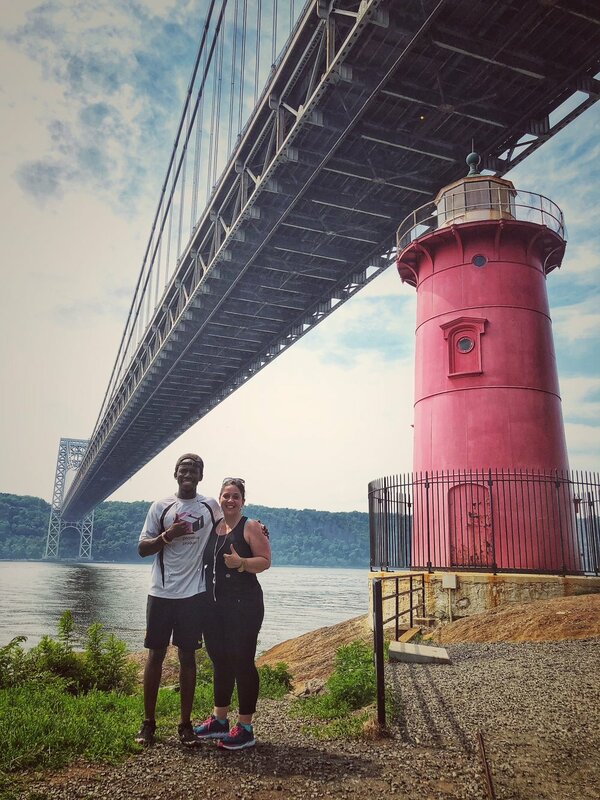 But my friend Kevin + I ran from Fort Tryon Park to the little red Lighthouse under the George Washington Bridge. During the Fourth of July week my parents and I visited family in New Hampshire. One of the highlights of going to New Hampshire is visiting my dear friends Tyler + Darbi who moved from Harlem to New Hampshire over a year ago. I was brave enough to suggest that we run together. They were so kind to me by running at my pace, walking when I needed to walk and pushing me when I needed to be pushed. These 3 miles were tough! It was my first run in the evening, a run after I had indulged in some lakeside food and my first run with hills. And it was about 93 degrees still at 8pm at night. Run/Walk + 1-mile run around the lake. Tyler gave me some good mental focus in how to look at the mileage so that I keep going, push myself + JUST. KEEP. RUNNING. Darbi + I sat for a few minutes while Tyler ran a lap around the lake and then it was time to hit the trail, one more time! It didn't matter how long it took. It just mattered that I didn't stop running. Tyler + Darbi were the perfect coaches for my Manchester run. A trip to New Hampshire in the summer wouldn't be complete without some time spent at Lake Winnipesaukee. For 20 years, my family spent the last 2.5 weeks of every summer at our family cottage in Alton Bay. Life can't be better than waking up, throwing on a swim suit and spending the day swimming, canoeing, boating and running around with friends. Diving off the dock and swimming in the lake brought back so many memories. Now that I'm back from the lake and time with family it's time to get ready for my first major organized run. I'm looking forward to discovering what my pace is like in a long run, how I feed off the energy of the crowd, what my endurance levels are like and how I put the lessons that I've been learning into practice. 12 Miles...I can do this! I continue to weigh in at Weight Watchers every week as a source of accountability. I used to weigh in on Fridays but I found that my approach wasn't the most effective. I'd enjoy 'extra' over the weekend and tighten up my meals on weekdays. I recently switched my weigh-in day to Tuesdays and it's given me an extra layer of accountability for the weekends. After I weigh in, my continued tradition is to indulge in a cheat meal. After a day of thinking about what I REALLY want, French Toast was my most recent Tuesday brunch! My feet and body can feel the positive impact of my recently celebrated 26 pound weight loss and I'm grateful for the progress so far. If I've come this far after a few months, I know I'll be that much more ahead over the next 16+ weeks until Marathon Sunday. One of my favorite morning, afternoon or post run snacks is right above! One egg + one mashed banana + a dash of vanilla extract with a serving of PB Fit on top. It's been just like a pancake for me. These are the food items that keep me going! Starting to use my Fitness Watch (Garmin Vivosport). After much comparison and research, I decided to go with this one for right now and got a great deal on eBay. Enjoying evening lap swim sessions at the city pool at Marcus Garvey Park just a block from my apartment. It will help benefit my Marathon training, it will cool me down at the end of hot summer days and the pool should be less crowded. 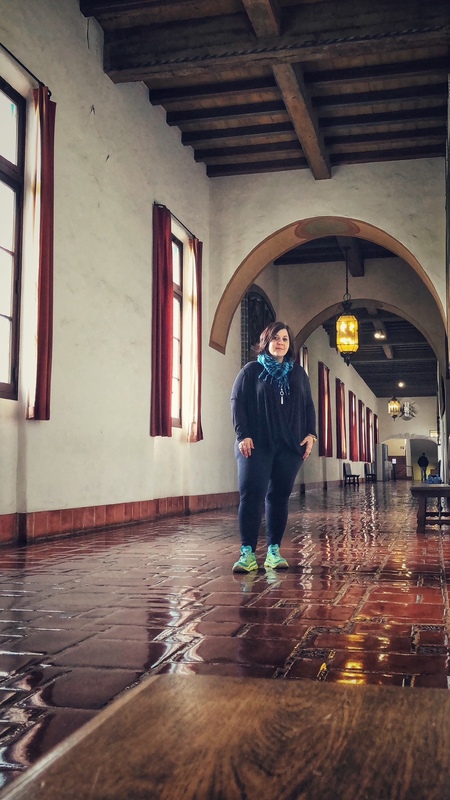 PHASE 2 of Tanya Velardo's Marathon Training program has now officially begun! PHASE 2 is that moment when you get outside and actually start running! I've been visualizing it, talking about it, thinking about it, preparing for it and now it's time to do it! My friend Cidra has been one of my biggest supporters, inspirations and cheerleaders for believing nothing less than I can do this. Every time even the smallest amount of fear or 'I can't' enters into our conversation she quickly uses words that help me transform how I speak about the marathon and the results of what will happen on that day. So, when I received an email from her about a 3-mile run on Memorial Day I knew it was time. Time to enter PHASE 2! Yesterday 5 of us met at the Frederick Douglas Memorial Circle at the NW corner of Central Park and there it began, my feet hit the pavement and I'm off...158 days until Marathon Sunday. We started at the NW corner of Central Park, ran to 96th Street, turned around, ran back to Malcom X Blvd and ended at Sugar Hill Creamery for a celebratory scoop of ice cream. I highly recommend the Honey Lavendar! It's like a scoop of Spring in a cone. In the spirit of the historical question, "If a tree falls in a forest and no one is around to hear it, does it make a sound?" I would like to ask, "If there is no post-run photograph where you're covered with sweat, did you REALLY run the 3 miles?" PHASE 1 of Marathon Training has been incredibly insightful for me personally, life giving, challenging and life changing along the way. I wanted to share some highlights of what the last two months have given to me. HOME COOKING | Cooking at home is incredibly therapeutic to me. I've made grocery shopping a priority and make sure that fruits and vegetables are at the top of my shopping list. For 15+ years I've made shopping lists based on what I've thought about cooking but last week I took it a step further and now have a visual meal plan on my fridge. I found a meal plan template on line, filled in what I'll make each day and what snacks I'll have on hand. It has been a big help to keep me on plan with Weight Watchers, to keep on budget, to not waste food in my fridge and to keep myself from buying food on a whim. I don't take a NYC kitchen this size for granted. 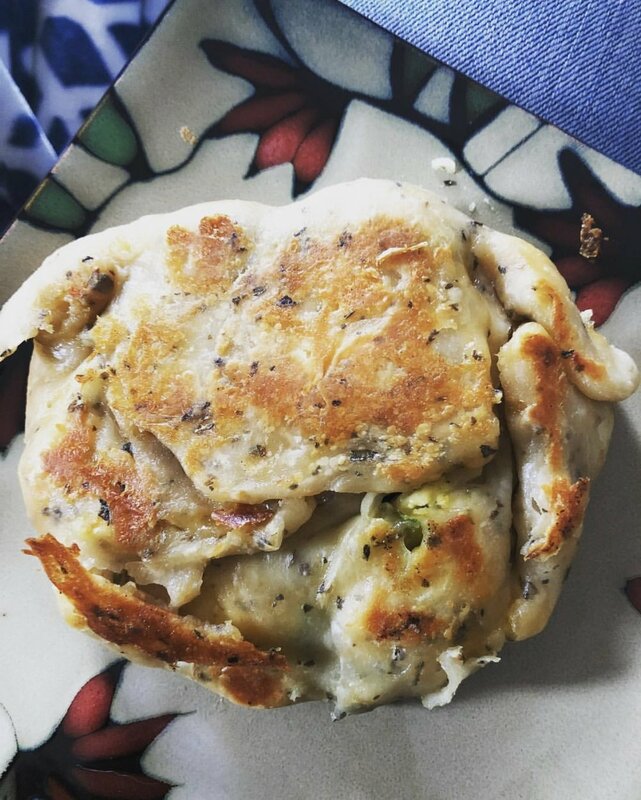 I've discovered a couple of new recipes that have quickly become staples in my meal planning. Today I'll be making a large batch of the ground turkey bolognese sauce pictured below to have on hand for pasta and other dishes. Pulling out my spiralizer for zucchini noodles are an added bonus to the bolognese sauce. MOMENTS EXPLORING | Over the last three months I've had the opportunity to be in new places, take in moments across NYC and to capture the images that have surrounded me. Here are a few highlights of what I've seen along the journey. Harlem | NYC | There's nothing more life giving than walking through my Harlem neighborhood and beyond in all different directions! Walking 3-5 miles a day in NYC isn't enough for me most days. When you walk, you get to see sights as beautiful as this! February 1 I started this journey. I've realized that training healthy habits, seeing evidences of self-discipline and learning to say no to the things that are not beneficial to me and yes to the things that are beneficial but not always what I want to do. I've begun to feel the changes and experience the impact the changes are having on my life. Recently I started to compare some photos and I'm grateful for the physical changes I'm seeing as well. 21 pounds down with a 30 pound weight loss goal by the end of June. 158 days until Marathon Sunday (11.04.18) and 139 days until my 40th Birthday (10.16.18). I don't have to spend two hours making bolognese sauce today. I don't have to run 26.2 miles. I don't have to adjust my schedule to get 7 hours of sleep per night. I don't have to write down my meal plans. I don't have to start creating a bed time routine. I don't have to pour so much effort into my finances. I don't have to do any of it. But I do it because of the character it builds in me and the transformation that only comes through doing what I don't have to do or that which I don't want to do either. When I was in the 5th grade I ran for class President. I had a strong campaign slogan, "It's Time for Tanya at the Taylor." I made campaign pencils, I gave a strong speech and in the end I won and had a great one-year Presidency! We accomplished many things during the school year of 1988-1989 which even included being the first class at the Charles H Taylor (Boston, MA) to take a field trip out of state. My dad reminded me yesterday of my campaign when he tweaked it a little bit for 2018. He said, "It's Time for Tanya on the Tar." You see, in September a friend wrote this on a calendar and this is why it's "Time for Tanya on the Tar." In 2017 I experienced loss over the span of many months. In the midst of those difficulties I found myself praying the same words over and over again, "Lord, I know you can create beauty from ashes. Please, take my ashes and transform them!" 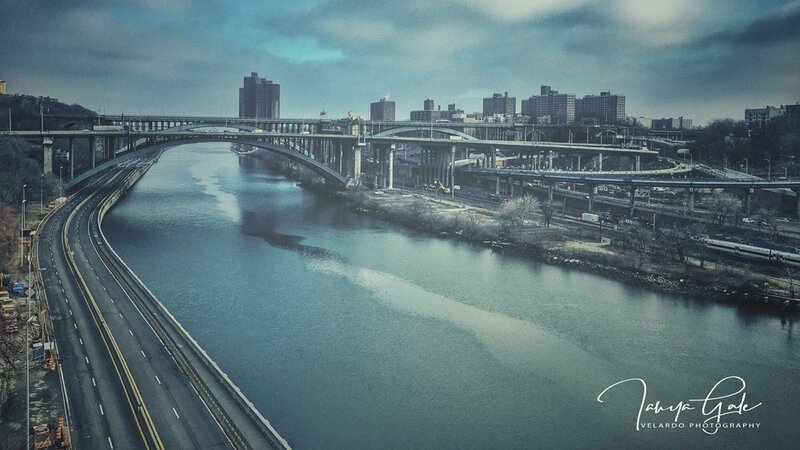 As I took moments of physically putting one foot in front of the other to work through the sorrow, I found myself walking 100+ miles in a month all over my Harlem neighborhood and just north to The High Bridge in Washington Heights. This was the view I looked forward to. 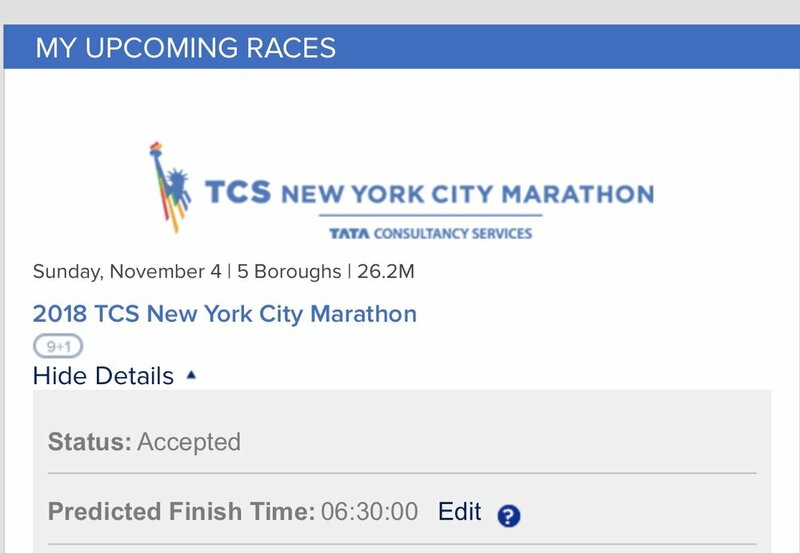 I never would have imagined that the many miles walked would lead to a conversation that would then lead to me becoming a runner in the 2018 TCS New York City Marathon. 16 years ago I used to be a runner. In 2012 I met a friend every weekday morning for a 4.5 mile run on Staten Island and we ran three 5Ks together in just a few months before I moved to Eastern Europe. After not running for years, foot surgery and working a retail job, my feet were in pretty bad shape but now...now is the time to change all of that! As I think about running the marathon I think about my 2017 journey and how it was a marathon. There was no quick fix, quick finish or quick solution. It took endurance, commitment, longevity and training. There was a need to train the thoughts of my mind, the emotions of my heart and my responses. TRAINING DISCIPLINE is about doing what needs to be done even when you don't want to do it. When I'm tired at the end of the day, discipline is cooking healthy food at home. For me, discipline is going to bed before 11pm and being up by 7am. Discipline is getting up at a decent hour, walking down my 64 stairs, exercising, running the marathon schedule (even when it means 12 miles) and then walking back up my 64 stairs after leg day at the gym! Training Discipline is acknowledging my tendencies to procrastinate & not giving in. FOOD CHOICES will fuel my body well and will positively affect the way I feel and my energy levels. There is tempting food EVERYWHERE in NYC and it's easy to tell myself that I deserve special treats each day. So, here I am in Phase 1. I've been working each day at training discipline in my life and being mindful of my food choices. As a result and thanks to Weight Watchers, I've lost 18 pounds of my 40 pound weight loss goal by the time that Marathon training starts in mid-June. I'm facing a new week and my Discipline Training focus this week is sleep habits. It's so hard to go to bed at the end of the day. It’s going to take an intentional effort to be in bed by 11pm and up by 7am. That snooze button is so tempting. One of the tools I'm using in my Marathon journey during Tanya's Phase 1 is the book Finish by Jon Acuff. When perfect stops so does working towards the goal that was set. When I met Jon Acuff at a conference for a book signing he gave out this poster and the top middle square jumped out to me. I wrote in that 'perfect race' that I'm working towards. Soon after I received the poster my perfect stopped happening. I had a strange accident and was now recovering from a brain injury/concussion. It was no longer perfect and it was 10+ weeks until I could do any sort of intense exercise. I was just trying to walk at a normal pace without my head hurting, never mind running. But here I am, Phase 1 of the Marathon journey. Training Discipline. It's through this journey that I'm seeing the Lord answer yes to my 2017 prayer. The ashes are no longer scattered all around. The beauty is growing. If there's one thing in the world that causes me to break out into a cold sweat, that thing is dancing. I've never been to a school dance and really never had any opportunity to just dance. I've always loved to sing and hoped that maybe, just maybe, I had gained some rhythm from my eclectic taste in music. Ever since I started to drive, 21 years ago, I've been a dedicated singer....in my car...when no one else is looking. I have sung the greatest duets with Whitney and Billy Joel. I've been a featured soloist with the Brooklyn Tab and honestly, I should have been offered the role of Christine in Phantom of the Opera. I can hit every note precisely! I've tried to dance and am proud to say that The Cupid Shuffle is my jam at every wedding I've attended! In December I went dancing with friends and they were gracious enough to try and teach me but when they walked away, the couch off to the side needed my attention and support. There's a plaque in my home that says, 'I believe in practicing courage every single day.' That means TODAY. I want that to be true of my character. I want to be a courageous woman. I have been courage in the past and I want to continue with that habit now and deep into the future. 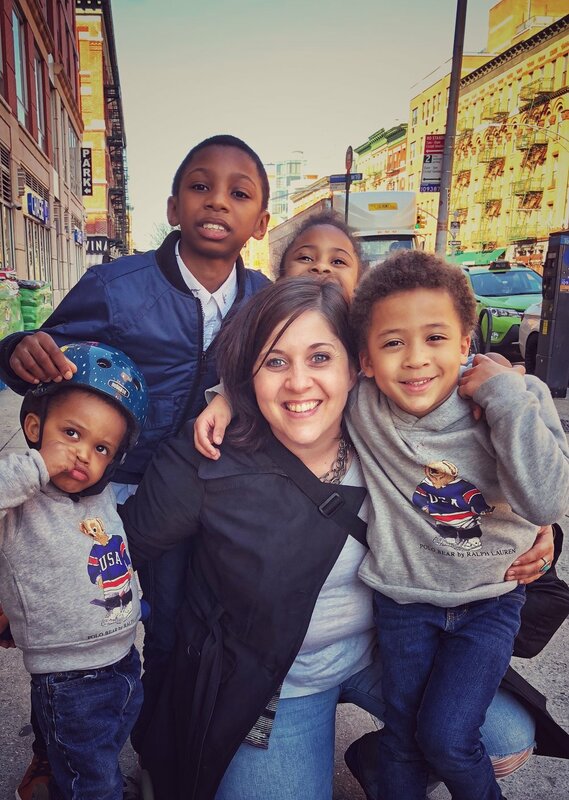 I want the woman who crossed Eastern European borders while communicating in a second language to be the woman who pours deeply into Harlem's children and youth and to trust relentlessly in the strength of the Lord my God. I want the woman who packed it all up to live in a foreign country to be the woman who unpacks it all with her gifts to tell the stories of the people she meets through the lens of her camera. I want the woman who drove 100,000 miles with no GPS across 13 European countries to be the woman who navigates her way through new opportunities and doors yet to be knocked on. I will trust. I will hope. I will move. I will go. And so I went. Tonight I went to The Ailey Extension. There were other people there too. A lot of them. The other 45 people in the room were fully coordinated on the stretching warmup exercises. I knew I was in for a long night for a class that wasn't quite as 'beginner' as I thought. I had a pit in my stomach but I set out to practice courage. Every day and that means TODAY! TODAY, that courage was getting of the couch in the corner and getting up to DANCE. I value doing life with the Morris family. I value the conversations we have about faith, family, stories, life and the Harlem community that we each call home. I value laughing with the Morris Family. I value hanging out with soon-to-be Big Brother, AJ, every Sunday in Renaissance Kids. I value these two teenage girls and the way they are chasing their dreams while using their gifts and talents to set this world on fire! I value the way that Aswan and Heather challenge and encourage me to use the gifts, talents, creative mind, passions and hopes that God has woven inside my heart and mind. They push me to press forward and to hope for what is true, above and beyond anything I could ask, think or imagine. I am so grateful for the friendship of Aswan and Heather. I am grateful I will be able to know Baby A from the beginning moments of his life. I am grateful I will continue to do life with them in Harlem, a community we both call home. Baby A is #overdue for sure and so we continue to encourage him to start making his way into this world! Baby A, we can't wait to meet you! Morris Family, there is glory in your story! Sophia was born on Tuesday, August 11th, in New York City. At 1pm on Friday, August 14th, I met her family for the first time and enjoyed a relaxing limo ride to their home in Astoria, Queens. I enjoyed hearing about how Sophia's parents met, how they chose the name Sophia, the changes coming to their life now that they are parents and sharing so many life stories. It was a great day bringing Sophia home for the first time. In a city where an assigned parking space, a washer/dryer in your apartment, an elevator for your 5th floor walk-up, outdoor space and a backyard qualify as 'the dream', it is places like #TheHighLine that make you realize you have something at an arm's reach that's so unique and special.